1. Quality Dental Work – We feel that going to the dentist should be hassle-free. To make your experience easier, we offer a wide range of services, from general and aesthetic dentistry to endodontics, Invisalign and more! Not only will the majority of your needs be met under our roof, you will also receive the highest quality of care. We have the expertise to deliver lasting results and are committed to serving you to the best of our abilities. 2. Personalized Treatment – Your health needs are very specific to you, and we personalize your treatment to match. We take the time to understand you as an individual, listening to your needs and concerns as well as your financial goals. Additionally, our patient team will thoroughly explain every step of your treatment so you can feel comfortable and confident in the decisions you make. Everything we do is done with you in mind. 3. Friendly Environment – We want you to be happy during your time with us, which is why we work hard to create a welcoming environment where you can feel at ease. You can count on us to not only keep a clean and modern practice, but to have fun! Our team is friendly, patient and attentive to your needs. Most importantly, we treat you like family because we truly care. 4. Affordable Care – We believe in always doing what’s best for you in terms of treatment, and we believe the same in finance. We offer high-quality dental care at an affordable price. 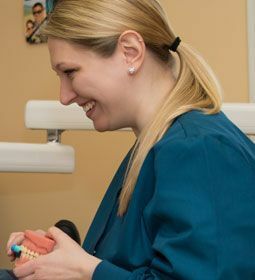 Our accommodating team will work with you to determine the best care to meet your needs without exceeding your budget. 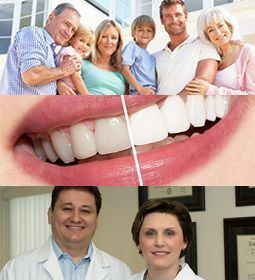 If you value these qualities in a dentist, call Addison Village Dental today! We genuinely care about you and provide customized treatments to meet your needs!